The battery in your vehicle is comparable to the human heart. Without a fully functioning battery, the engine isn’t going to start, and you won’t be going anywhere! Prior to purchasing a vehicle, it’s important to make note of how long the battery has been powering the vehicle. That way, you can ensure your vehicle will be running smoothly for a long time. 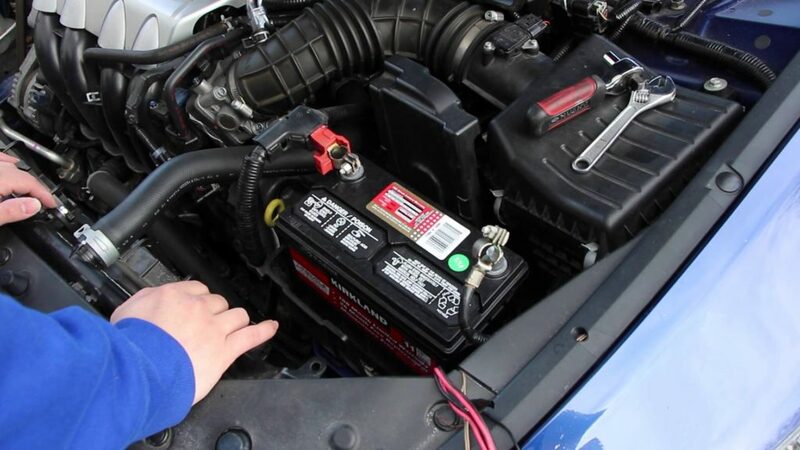 On average, if the vehicle is well maintained, your battery can last roughly four years. The worse condition the vehicle is in, the shorter life the battery will have. There are several warning signs that will indicate your battery is starting to die. However, we advise you to keep an eye on your battery’s life, instead of waiting for it to run out. Becoming stranded on the road can be unnerving, so here are five signs to watch for. When it’s cold outside, it often takes your vehicle a little longer to start. However, if this issue is occurring repeatedly, it could be a sign that your battery is starting to die. With every use of your vehicle, components in the battery will wear out. When this begins to happen, your battery will take longer to create a charge for the starter. Eventually, your battery will no longer be able to create that charge and you’ll have to replace it with a new one. The check engine light can be a very ominous indicator to see on your dashboard. While you should get your vehicle looked at by a licensed mechanic, the light may also mean your battery is dying. Sometimes, when the battery is weak and not producing enough of a charge, the light will come on. If this is the case, have your battery tested and get it replaced if needed. And we don’t mean in a cute way. Excessive heat and dry conditions can cause your battery to swell, which leads to the case cracking. If you happen to notice that your battery is oddly misshaped, do not try to drive the vehicle or remove the battery on your own. Since batteries contain acid, there is a possibility it can damage the engine and frame of your vehicle. It could also severely injure you. Tow your vehicle to a trusted mechanic and they’ll be able to help you remove your battery properly. Not only does the battery power the engine, but it is the source of power for all the electronics in your vehicle. Unfortunately, a dying battery can dim the lights in your vehicle or quiet the sound of the radio. The more electronics you plug into your car, the faster your battery will die. When you’re not using your vehicle, unplug nonessential electronics, such as your phone charger. This will limit the power your battery has to produce and keep it functioning properly. We mentioned it earlier, but we’re going to state it again: once your battery is at least three years old, keep monitoring it or replace it with a new one. In ideal conditions, where the weather is consistent, and the roads are smooth, your battery can last more than three years. However, in Alberta’s weather conditions, it’s safe to say that your battery may not last as long. Regularly test your battery’s performance around the three-year mark. If your vehicle is experiencing issues like the ones stated above, schedule an appointment with us and we’ll be happy to take a look at your vehicle!